We are glad to see you at AllTrainersPC.com! 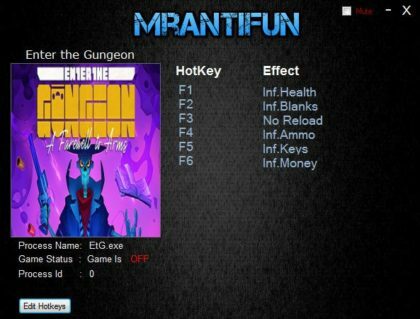 If you want to download Enter the Gungeon Trainer for free, you can do it right on this page! This cheat works on the game version 2.1.3 and above. Trainer includes 6 different functions, using which you can get a big advantage in the game. 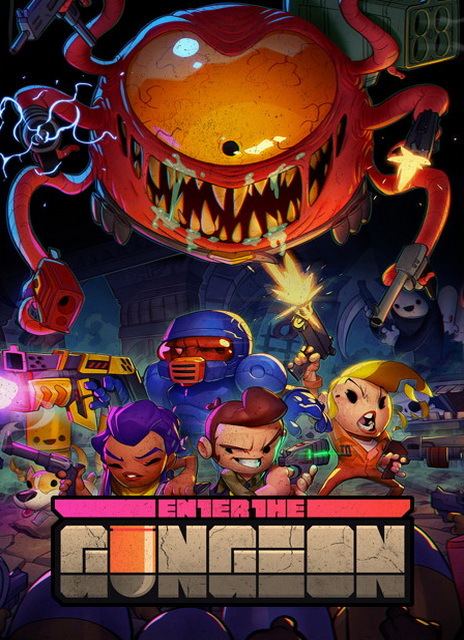 Enter the Gungeon (2018) is a new bullet hell dungeon crawler game developed by Dodge Roll for PC. In this game you can choose one of available heroes and go to battle enemies in randomly generated dungeons. You will find a dynamic firefight, a wide selection of unique weapons, lots of enemies, lots of bosses, and more.